Beautifully presented, this collection of recipes give us, the reader and the home cook, a view into the life of Stephanie Alexander. This is her most personal collection. Each chapter begins with a story from Alexander’s life and features a menu for a shared meal. There are timetables for preparation from weeks out right up until the dish is served – and there are photos to make you want to weep with hope that you too can produce a festive table like our very own Stephanie. To be fair, there is a warning on the front page: ‘This book is Anthony Bourdain’s interpretation of a normal cookbook’. So, it’s not following traditional lines, although there are chapters for breakfast, and for mains and so forth. It cuts completely through any fads, any dietary requirements and instead heads straight for food on the wild and happy side. Think sandwiches with spicy Italian sausages, fish cooked in duck fat, and generally having a great time giving things a go. It’s brilliant, and with Bourdian’s iconic and ironic humour I laughed many times, and I want to try many dishes. I’m all in. We know Perry has travelled the world, and this collection of 110 recipes is like a road map of where he has been. Each recipe is simply elegant and clearly inspired by his travels. The food is more than Asian fusion, it’s food that could be described as a nod to an egalitarian, open-hearted world where we all respect and honour our home meals, our heritage and that of our neighbours. This book is a treat for anyone wanting fare for us all. We all know we should eat more veggies and more lettuce leaves and more nuts. We do understand. Martini here has managed to fill a whole book with ingenious dishes that are good for your body but also your naughty, indulgent side. Ruminate on what anchovies and blue cheese can do to the humble dish of veggies, for example. By adding a little bacon, salt and a fair bit of flair, Martini has shown us that we don’t need to be straitlaced to enjoy a plate of salad. This is a perfect book for those who want to do better and brighter every single day without feeling bound by rules. Travelling far away for a meal in a beautiful restaurant is a trend now. Around the World in 80 Dinners is a tremendous and indulgent guide to the devouring your way around the world. Savill and Apelgren have done all the hard work (thanks so much!) for us so now we have a guide to where to eat, why to eat it, how to book it, where to stay and the whole brilliant means of getting the most of your time in some of the most delicious places in the world. And if you are like me and really a trip down the Great Ocean Road is a treat, don’t despair, this book is enough to cause your imagination fly. We know cooking is all about balance and about sharing and enjoying your meals. These two women have not only nailed that recipe for a good life, but have also decided to rock the boat and command a restaurant of vegan food. 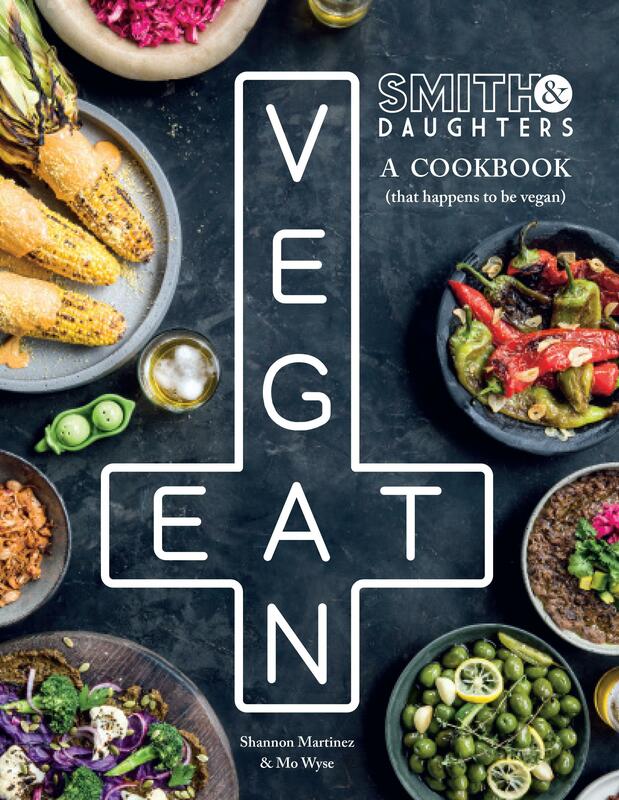 This marvellous book is where they share their tips and treats to create really tasty vegan dishes. The book is bold, as are the flavours of such dishes as ‘chorizo’ and potato, Spanish ‘meatballs’ in a saffron almond sauce, chipotle cashew ‘cheese’, ‘tuna’ and green pea croquettes. Hats off to these women who are maintaining the trend and pulling it apart their way. Bacchia heads off to Italy each year, and brings us a tantalising taste of the food cooked in cobblestone alleyways, piazzas and the back streets of Italy. This book is filled with traditional Italian treats that are not always found on the main road or in our own Italian restaurants – it moves well away from pasta and pizza and heads straight to fritters, gelato and barbecue. This book made me long for extended summer nights and friends laughing as we pour yet another aperol. This cookbook is a brilliant gift for anyone that likes to prepare a feast for many. You might not be a fan of David Lynch, but you would have to be living under a rock to not realise the impact that Twin Peaks has had on our cultural life. Think happy teenagers in a quiet town that is coming apart, and all the while everyone is still eating pastries and doughnuts, and still meeting around the all-American table for a family meal of lasagne or meatloaf. This collection has recipes that you too can indulge in as you settle in on the sofa and go back to the start of Twin Peaks in readiness for the new season coming our way.